In recent years, Punta Cana has become one of the largest tourist destinations in the world and is considered the best location to stay while exploring the Caribbean. Upon arrival, you will have the opportunity to see first-hand why it is such a popular destination as it features sensational beaches with turquoise-blue ocean waters, gourmet local dining options around every corner, and it showcases a wide variety of activities to do while visiting. Whether you are seeking an action-packed adventure across the countryside, want to set sail to explore the high seas, or just a relaxing day at any one of the magnificent beaches – Punta Cana has all you could ever want and more. Ever wonder what it would be like to be up-close and personal with one of the ocean’s most intelligent creatures? 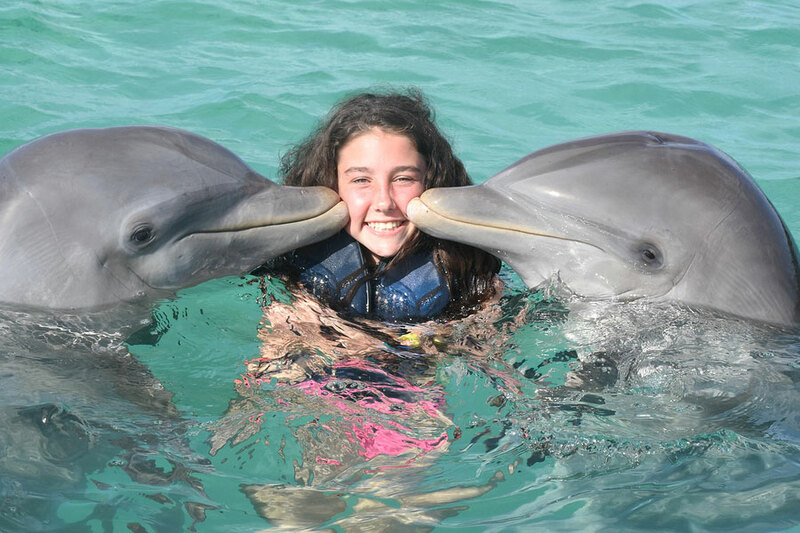 Look no further as Dolphin Discovery loves providing that experience and sharing all that they know about the Dolphins of the Dominican Republic! While interacting with the dolphins you will become acquainted with one and the trained guides will help you in performing simple tricks with your aquatic pal. Some of the tricks include being pushed on a boogie board by the dolphin, holding onto the fins as the dolphin zips across the water, and the classic dolphin leaping out of the water in a display of its ocean grace. Are you prepared for an aquatic adventure in paradise? The Catamaran tours are hailed as the #1 water activity in Punta Cana. Whether you are looking for a private or semi-private excursion; they have all you need to have a wonderful day at sea! 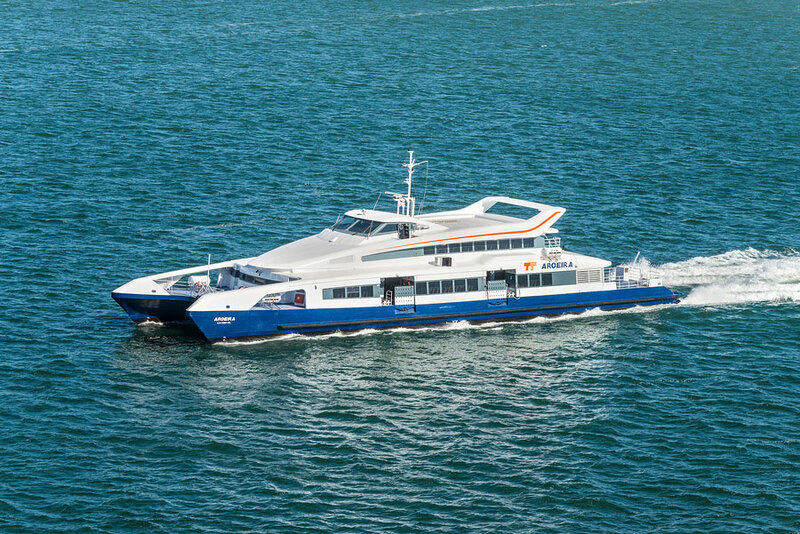 While on the tour you can experience snorkeling in the crystal-clear offshore reefs, taking in scenic views, private beach excursions, on-ship entertainment, and so much more to maximize your day on the water. If you are looking for some nautical fun in the sun then this is for you! For those seeking action-packed activities while enjoying the tropical oasis that is Punta Cana, HorsePlay is for you. 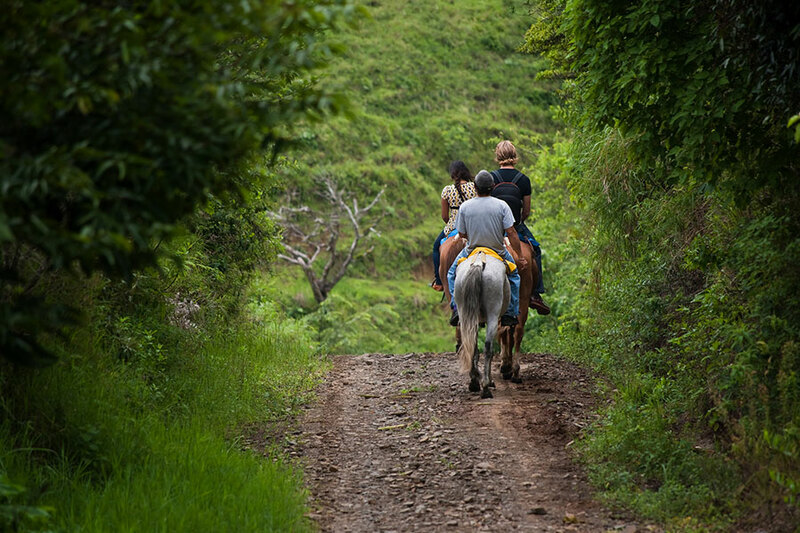 HorsePlay offers a variety of activities while on their expansive 300-acre ranch including: horseback riding, zip lining, cigar making, and even participating in a cattle drive. The fun never stops while you are with the trained guides making sure that you are living life to the fullest and taking in the beauty of Punta Cana’s countryside. Outback Adventures 10.4 km / 6.5 mi.